Hopefully you have heard the news that OSHA has issued a final rule on Walking-Working Surfaces and Personal Fall Protection Systems (29 CFR 1910 Subpart D&I) that was effective January 17, 2017. The final rule includes revised and new information that addresses everything from fixed ladders and fall protection systems to training and design requirements. The supporting materials in the rule also references over a dozen industry standards, from A1264.1-2007 (Safety Requirements for Workplace Walking/Working Surfaces & Their Access) to Z359.1-2007 (Safety Requirements for Personal Fall Arrest Systems). If an organization has fall related hazards and exposures it would be prudent to have a fall protection management program in effect. The rule, by itself, doesn’t require all employers to have a written fall protection program, unless doing residential roofing (nonconstruction) where use of fall protection is infeasible. It is also important to note that the revised rule gives employers flexibility to use personal fall protection systems (personal fall arrest, travel restraint, and work positioning systems) in lieu of guardrail systems. This addresses performance-related practices, so an assessment would be important to utilize and is consistent with existing requirements for written hazard assessments for selection of necessary PPE. Under new rules, employers must set up the work place to prevent employees from falling off of overhead platforms, elevated work stations or into holes in the floor and walls. Employers will also have to inspect working and walking surfaces for conditions that could create hazards, including snow, ice, water, blood, uneven flooring, and exercise good housekeeping to identify and correct conditions such as protruding objects or cables across walkways that could trip or otherwise injure workers. Here are ten specific items that changed in the standard. 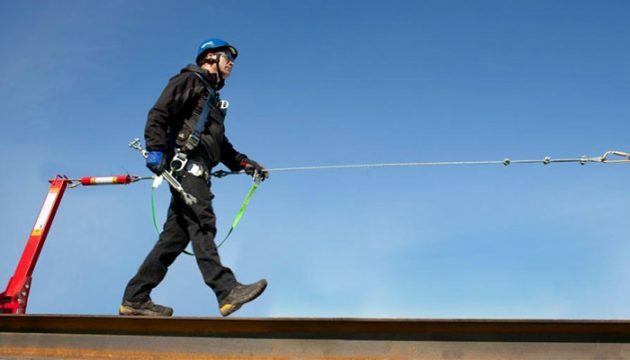 Equipment requirements included changes to the test weights of snap hooks and carabineers, and requirements for Self Retractable lanyards including deceleration distances. Modified ladders and stairs requirements starting in 2018 and required safety systems on all ladders by 2036. This includes requirements for spiral stairs and ships ladders. Guardrails are now aligned with construction industry and codified 19 inch opening requirements. 29 CFR 1910.32 (d) requires written certification of the workplace assessment to determine if hazards are present. Updated definitions of competent and qualified person in subpart D and I. Important compliance dates for employee training May 17, 2017, certification of anchorages on November 20, 2017, existing fixed ladders need cage well, ladder safety system or PFAS November 19, 2018, new ladders with ladder safety system by November 19, 2018, and all fixed ladders must be equipped with a ladder safety system or PFAS by November 18, 20136. Donald D. Elswick has over thirty years as an Environmental, Health, Safety, and Sustainability (EHSS) expert. 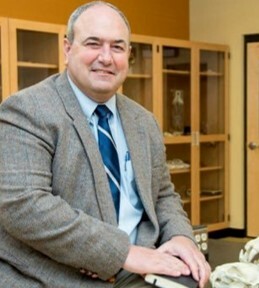 Don’s teaching experience includes adjunct professor of Chemistry at the University of Findlay and STEM coordinator at a private secondary school. His experience includes diverse operations throughout the world implementing strategies for instruction at all age and skill levels. Don has conducted consulting and training roles in the chemical industry, high speed manufacturing, and government sector. Support and oversight of EHSS systems include expert witness, policies, procedures, standards, and practices development and review. Don’s military service encompassed thirty-two years of commissioned and non-commissioned service in support of health operations. Don earned his Bachelor of Science in Chemistry and Masters of Science in Environmental Science at Marshall University. His board certifications include Certified Environmental Trainer (CET#99-878), Certified Hazardous Material Manager (CHMM#9854), and Certified Safety Professional (CSP#19460). Don’s philosophy of lifelong learning is transforming organizations into 21st century safety innovators.